With Mother's Day approaching, I wanted to post an outfit inspired/dedicated/in honor of my mom. My mom has always been a simple gal when it comes to fashion--she's a bit of a tomboy and I absolutely adore that about her! She dresses for comfort and that part of her has definitely rubbed off on me when it comes to choosing my outfits--especially this one. Aside from this outfit having my mom's "comfort vibe," I also decided to sport my mom's birthstone: the Garnet. 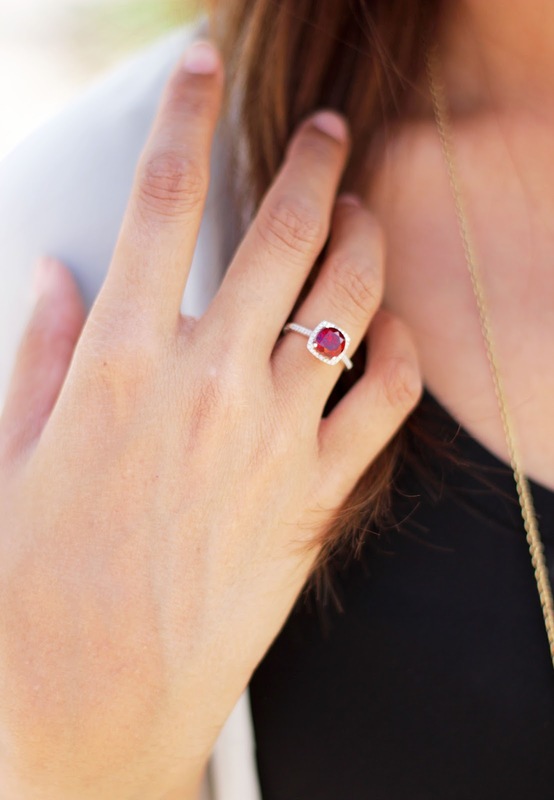 I absolutely adore this Zocorra Emma Ring with the Garnet gemstone! I love how the color pops and dresses up your hand ever so cutely. I've always wanted a gemstone ring so when I saw this one from Zocorra, I knew I had to have it, especially since it was my mom's birthstone! Garnet is just so pretty (and so is my mom). So in honor of Mother's Day (and my mumsy), Zocorra and I are partnering up to give away this exact Zocorra Emma Ring that I am wearing in today's post! 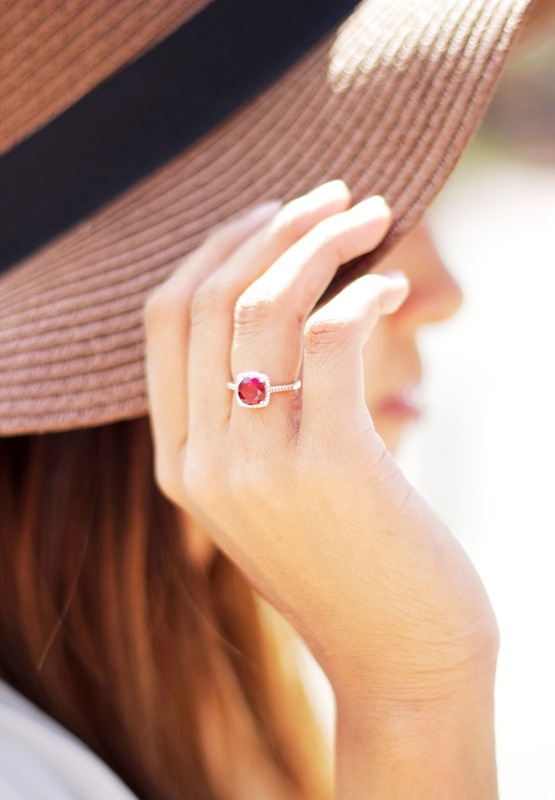 One lucky winner will win this pretty Garnet ring and all you have to do is enter using the Rafflecopter below! Also, Zocorra currently has some sweet Mother's Day deals if you're still on the search for that perfect gift! They are offering $50 off ANYTHING and free shipping when you use the code: mothers50. They are also offering 15% off plus free shipping with the code: mothers15. Zocorra has a sweet "Gifts under $300" section that has a ton of cute jewelry that is perfect for moms! Don't miss out on these sweet deals! Get your momma some bling from Zocorra for Mother's Day now! I love the ZOCORRA BENEVOLENCE EARRINGS! So simple but beautiful! Such a pretty ring! How lovely to get a chance to win one!!! Also seriously in love with these jeans. The Emma rings are so cute! I absolutely LOVE the garnet ring... I went to FSU, garnet and gold! I love the emma rings. They are so pretty! Stopping by from the link up and SO glad I did because you are adorable! I *love* your whole look from head to toe! Your ring is gorgeous; it's also my favorite from the Zacorra under $300 collection (though I'm drawn to the one with aquamarine & diamonds). Thanks for the giveaway! I absolutely love the Zocorra Emma Ring but it looked like all the rings in that collection were called that. The one I want is a garnet stone set in sterling and it has 14kt gold accents. I love there Zocorra Emma Rings particularly the Unique Sterling silver amethyst and onyx ring. the emma ring is gorgeous! Hello! Gorgeous shop! My favorite in the Under $300 shop is the Benevolence Ring. It has a heart shaped amethyst stone and is set on gold. Pretty! Thanks! I wanted to say something other than the prize...but...it's true...my favorite is honestly the Emma Garnet ring! It's beautiful. I want the ring I pinned. It is purple and bling tastic! I love the ZOCORRA BENEVOLENCE NECKLACE! so pretty! http://zocorra.com/product/zocorra-emma-rings-20 this is my favorite! :D My email is perezashley60@hotmail.com. I would love to win. Thanks! I love the Emma earrings ! I love the Charmed earrings! Thanks for the giveaway! I love the ZOCORRA EMMA RINGS! Love the emma rings too! Such a great look! 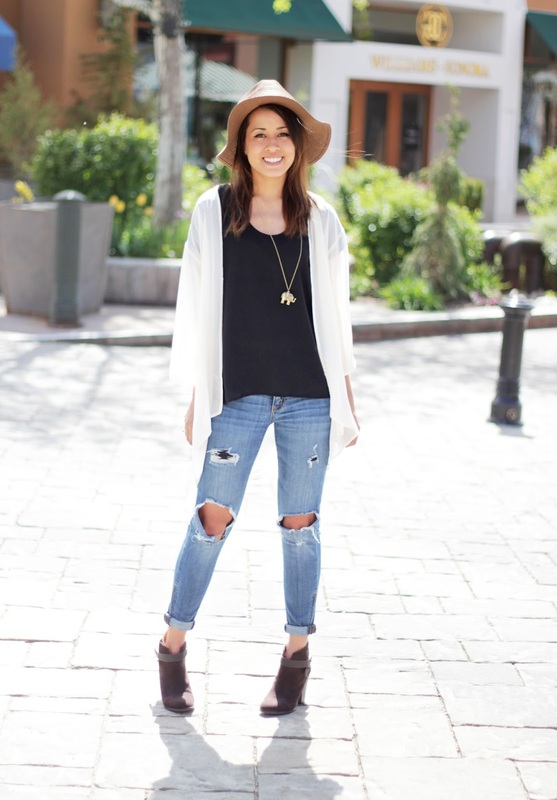 Love the distressed denim! I like the Freshwater pearl hanging from 14K white gold set with 3, 0.05CTW round cut diamonds. But I also like the giveaway ring. It's my birthstone!!! I love the Emma ring, but the Charmed Earrings are perfect for everyday wear! I'd choose the Zocorra Liberty Earrings Collection. They are GORGEOUS! Love the Enchanted Pearl Earrings. My favorite Under $300 gift is the Zocorra Benevolence Necklace. I like the Enchanted Pearl Earrings! Thanks for the giveaway! I love the Zocorra Benevolence Earrings! I love the Emma Ring in aquamarine! ZOCORRA EMMA RING is exactly what I want....would be so happy to have it! I love the benevolence earrings. I love these pearl earrings! Thanks!